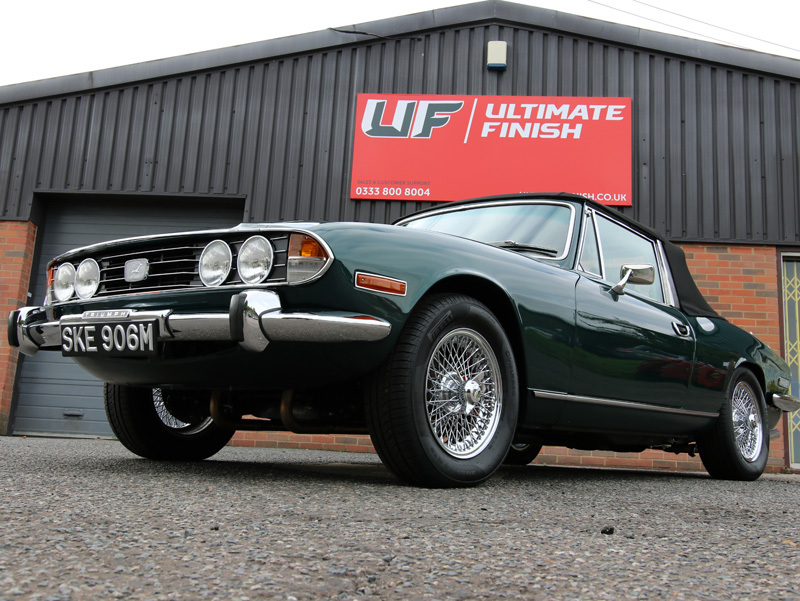 The Triumph Stag is a 2+2 sports tourer that was sold between 1970 and 1973, built by British Leyland and styled by Italian designer Giovanni Michelotti. One of the most prolific designers of sports cars in the 20th century, Michelotti’s portfolio includes contributions to Ferrari, Lancia and Maserati. A fitting choice then, for a luxury sports car designed to compete against the Mercedes-Benz SL class models. 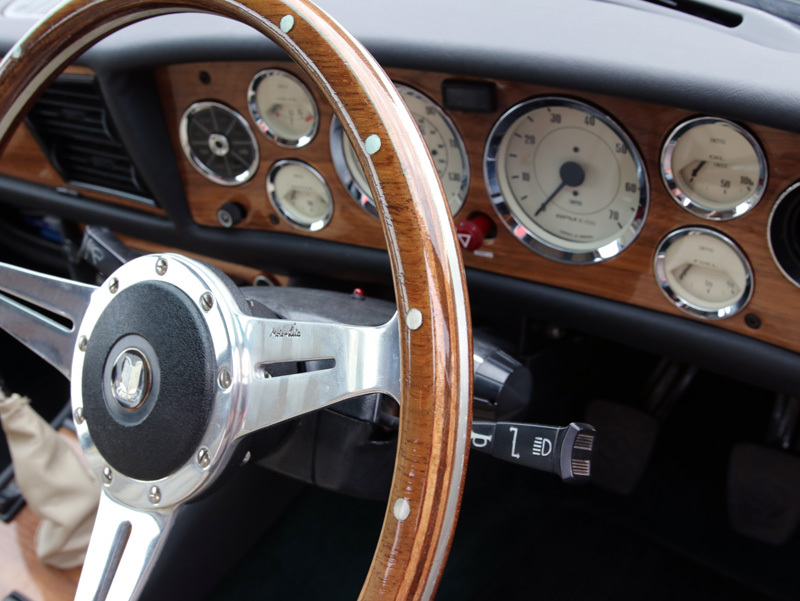 The Triumph was originally destined to house the Triumph 2.5-litre engine, however, after designs for the Stag evolved from a true sports car into a grand tourer, it was decided more power and refinement would be needed. As a result, Triumph developed the V8 engine from two connected Triumph Slant-4 engines. Only around 19,000 Stags were sold in the UK, and yet around 16,000 of them are still known to the DVLA, either licensed or SORN. From those registered in 1973, 139 are still registered as ‘on the road’. 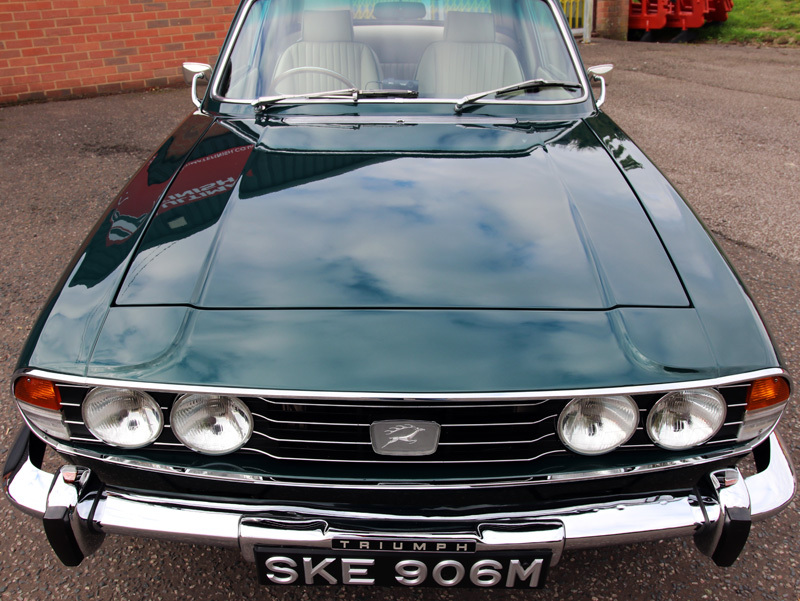 Stag owners have a real passion for the marque and many spend a lot of time, effort and money on restoring their cars to showroom condition. The owner of this 1973 Stag is no exception. 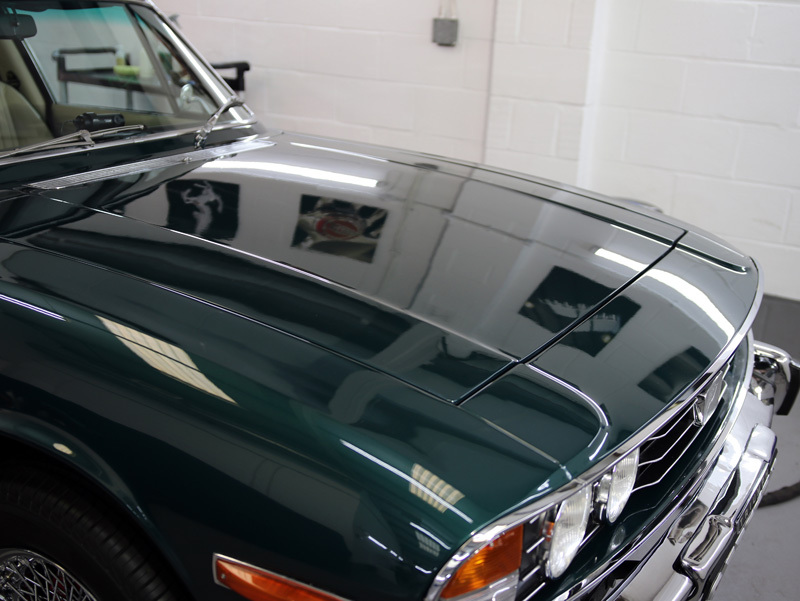 Currently undergoing an extensive overhaul to restore the mechanical integrity of the car, cosmetically it was also receiving a make-over, with newly chromed brightwork and repainted in traditional British Racing Green, a change from the original blue colour. 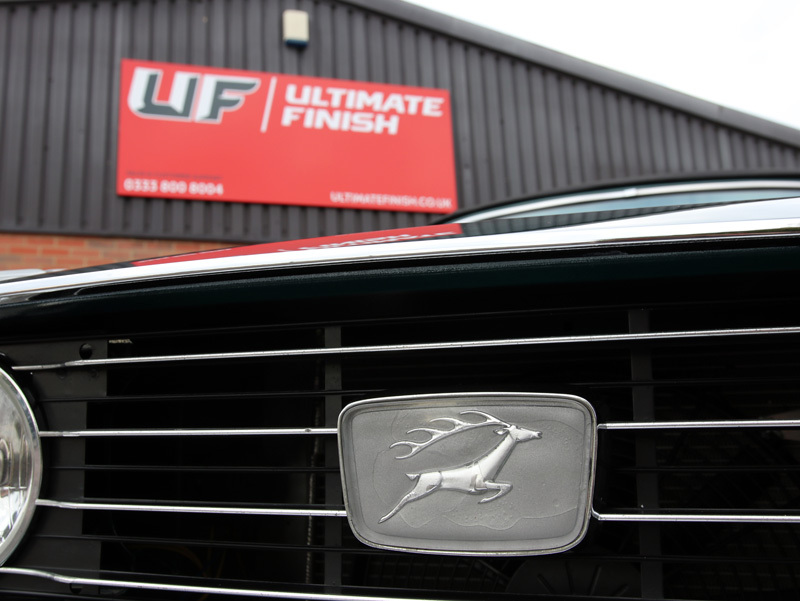 As part of the cosmetic restoration, the Stag was booked into UF’s Brands Hatch Detailing Studio for a number detailing services including Gloss Enhancement complete with Crystal Serum Black, Gtechniq’s flagship ceramic sealant combination, Leather Protection and Convertible Roof Treatment for the fabric roof. When the Stag arrived, the bodywork and wheels were treated for iron contamination using Bilt-Hamber Korrosol, followed by Surfex HD to remove grease and remnants of old polish and wax. The chrome wire wheels were carefully cleaned with Swissvax Wheel Wash and Microfiber Madness Incrediflair Wheel Mitt. This innovative mitt is made from a thinner material, the better to allow the mitt to fit around intricate wheel patterns. Additionally, the thumb pocket is set towards the centre of the palm, to provide an ergonomic support helping to prevent hand fatigue. Once clean, the wheels were then thoroughly rinsed. To complete the decontamination, the car was pre-cleaned using Ultimate Snow Foam. Applied through a foam lance attached to a Kranzle K-1152 pressure washer, Ultimate Snow Foam creates a thick, creamy lather that clings, even to vertical surfaces, lifting larger particles of dirt and grit away from the panels and encapsulating them within the foam. After being allowed to dwell, the foam and the dirt were rinsed away. Ultimate Snow Foam was applied to the roof and the fabric agitated with a soft bristled brush to ensure all dirt was removed from the fibres. The hood was rinsed to ensure the foam was completely removed. The Stag was washed using the Two Bucket Method. This uses a Wash Bucket with Grit Guard filled with soapy wash water (in this case, Gtechniq G-Wash, a pure, free-rinsing shampoo), and a Rinse Bucket with Grit Guard, filled with clean water. The wash mitt is dunked into the wash solution and a section of the car washed. The mitt is then rinsed in the rinse water, the mitt brushed across the Grit Guard to release particles collected from the panel. These particles fall to the bottom of the bucket and the Grit Guard helps keep them there. The mitt is wrung out before being dunked back into the soapy wash water. In this manner, it is easier to avoid reintroducing dirt trapped in the wash mitt or swirling around in the bucket back onto the panels and so avoid incurring wash swirls. Once the Stag was clean and rinsed, an Aqua Gleam De-ionising Water Filter was attached in-line with a hose to deliver a final, pure water rinse. The Stag was dried by hand using Ultra-Soft Microfibre Drying Towels and brought into the detailing studio. 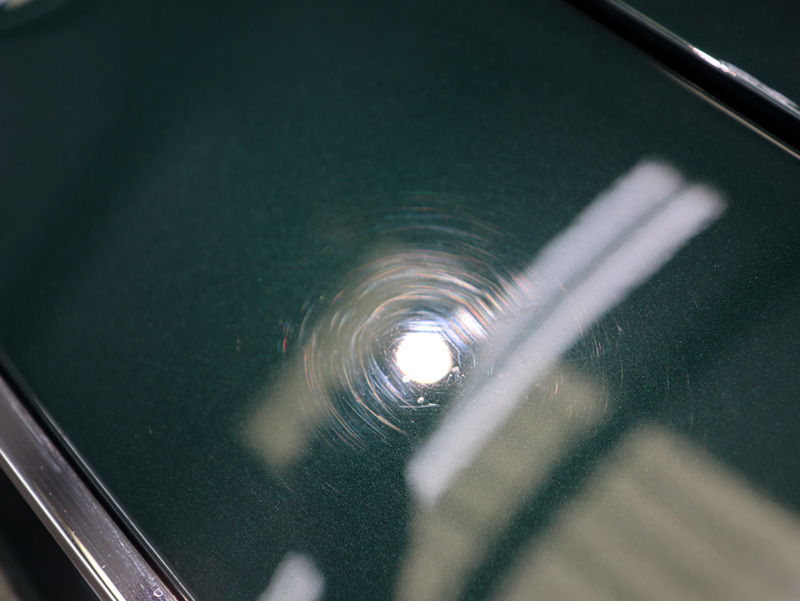 The brightwork was treated with Kamikaze Collection Water Spot Remover to eliminate some old deposits. 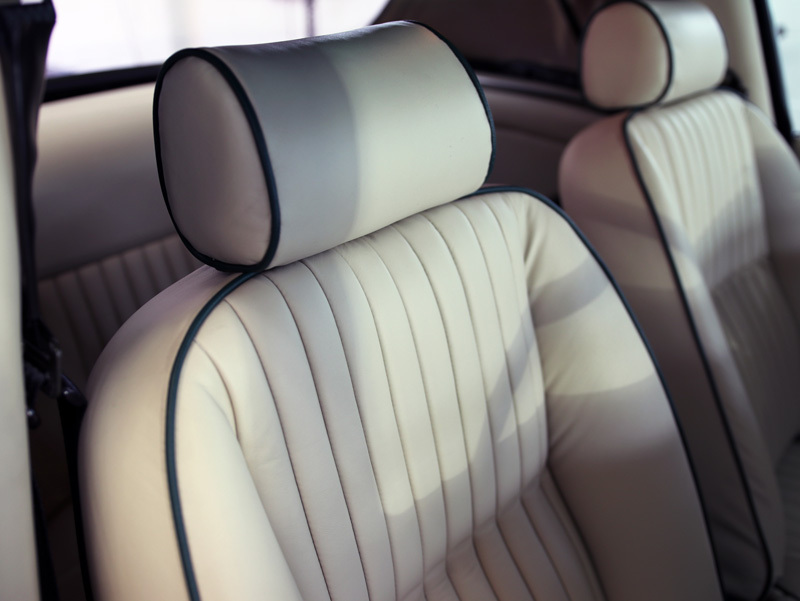 Then, the leather interior was cleaned using Colourlock Mild Leather Cleaner. This foaming cleanser is applied using a foam applicator, worked into the grain to lift out the dirt. 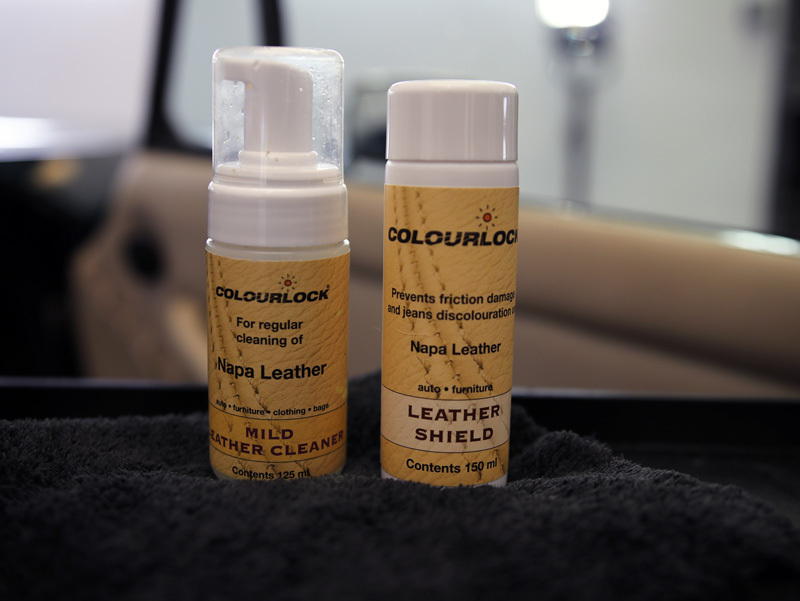 The leather is then wiped using a soft microfibre and, once all the leather had been cleaned, it was protected using Colourlock Leather Shield. The interior dash and trim were dusted and detailed using Gtechniq C6 AB Matte Dash. The ‘AB’ denotes an antibacterial function, helping to kill off bacteria, the source of unpleasant smells. 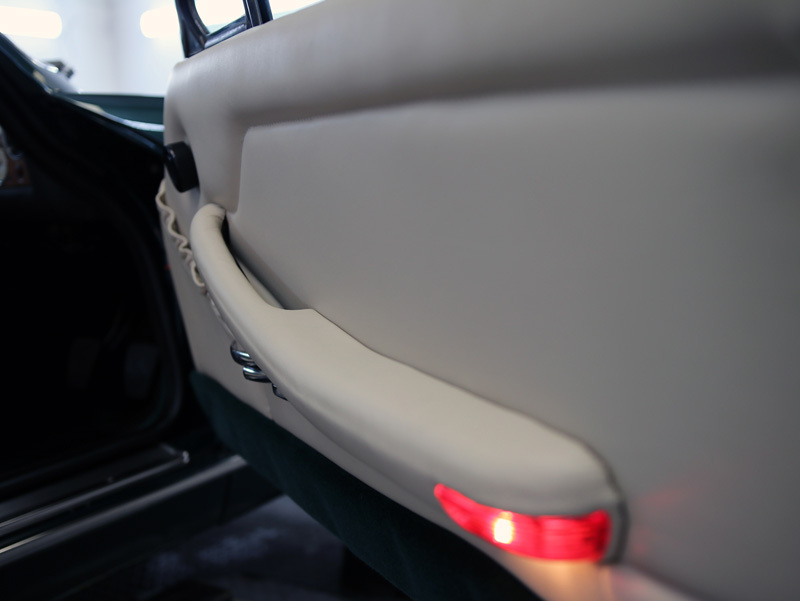 C6 AB provides a non-greasy, non-gloss, dust-repelling protection suitable for all types of car interior trim. With the interior taken care of, the Stag was carefully positioned on a hydraulic ramp and raised for better access. Part of the initial decontamination process involved removing remnants of old wax from the paintwork using Bilt-Hamber Surfex HD. 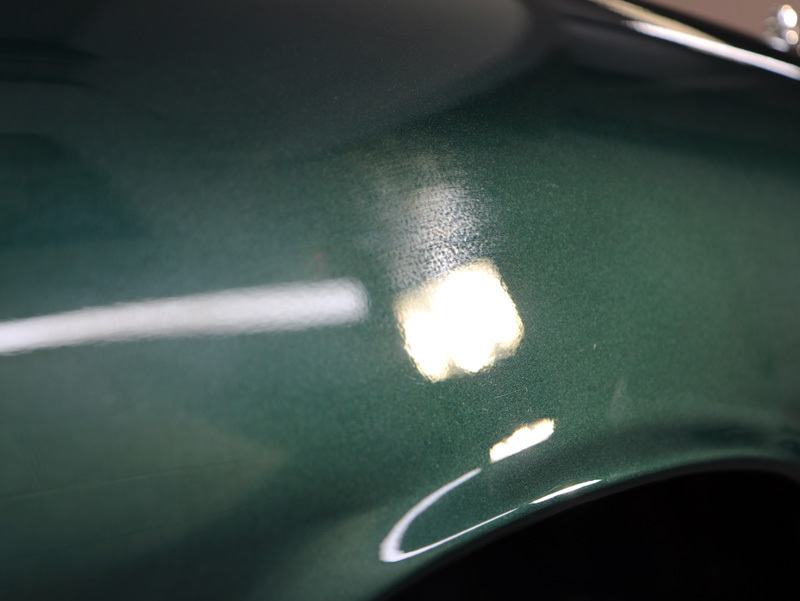 Following inspection under high-intensity lighting it was clear that the wax had been masking a number of serious paint defects including moderate to severe swirls, scratches and DA sanding marks. There were also areas where sanding by hand had been carried out to flatten out orange peel. However, the process had not then been correctly polished out, leaving peaks and troughs with interwoven shiny and flat spots. In the end, Menzerna Heavy Cut 400 was used with a Rupes Green Medium Polishing Pad and a Rupes BigFoot LHR 12E Duetto dual action polisher. The Duetto has a smaller throw compared with standard dual action polishers and this allows for a more concentrated build-up of heat over a smaller area, increasing the cutting potential. The dual orbit reduces holograms for results which require less refining when compared to a rotary polisher. During the body shop repaint, overspray had contaminated the windshield. 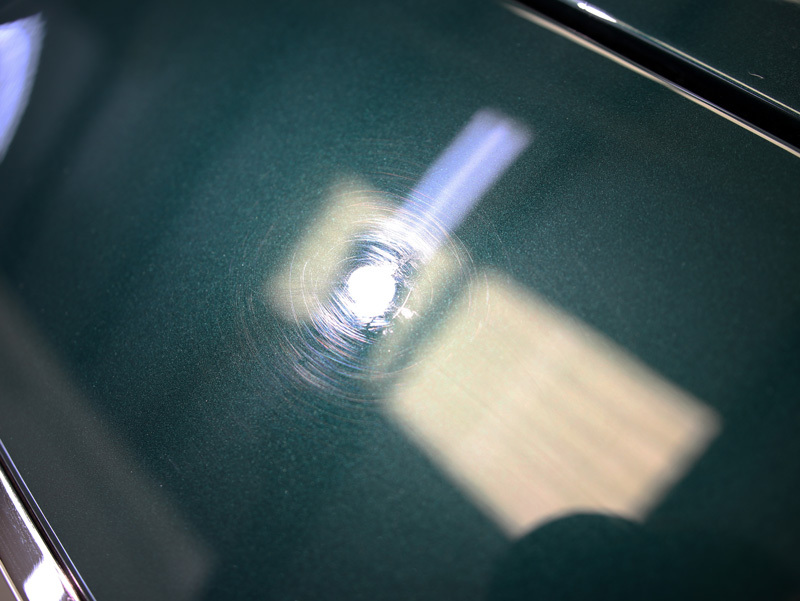 To remove this, the windshield was polished using a Duetto polisher and Koch-Chemie Heavy Cut H8.02, a highly lubricated compound, and a Rupes Yellow Polishing Pad. With the machine polishing stages completed, Gtechniq Panel Wipe was misted onto the panels and removed with a soft microfibre cloth. 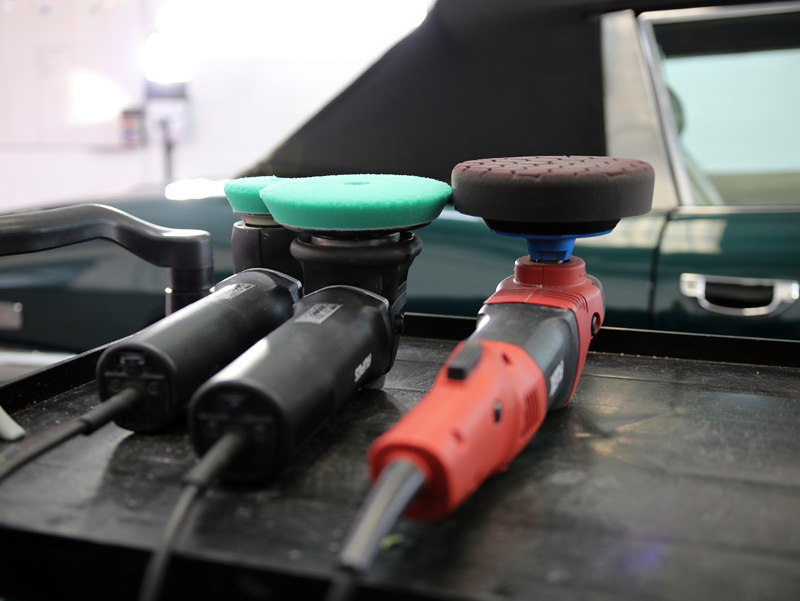 This process eliminates any polish or silicone residues that might otherwise interfere with the coating’s ability to bond with the paint. The customer had decided upon Gtechniq Crystal Serum Black (CS Black) as the final protective coating. CS Black is the combination of a base layer of Crystal Serum, applied by hand and allowed to cure for a couple of hours before overcoating with EXO V3 Ultra Durable Hydrophobic Coating. Crystal Serum is an innovative nanotechnology-based ceramic sealant. Applied as a single layer, as it begins to harden it cures as two layers. The lower section cures to a hardness of around 7H (on the pencil scale of hardness). This provides flexibility. The upper layer cures to around 9H – much harder. The combined effect is a coating that is both hard and flexible, providing superior resistance to wash-induced swirls. Crystal Serum is virtually impervious to extremes of pH, so will not be affected by chemical and industrial fallout. 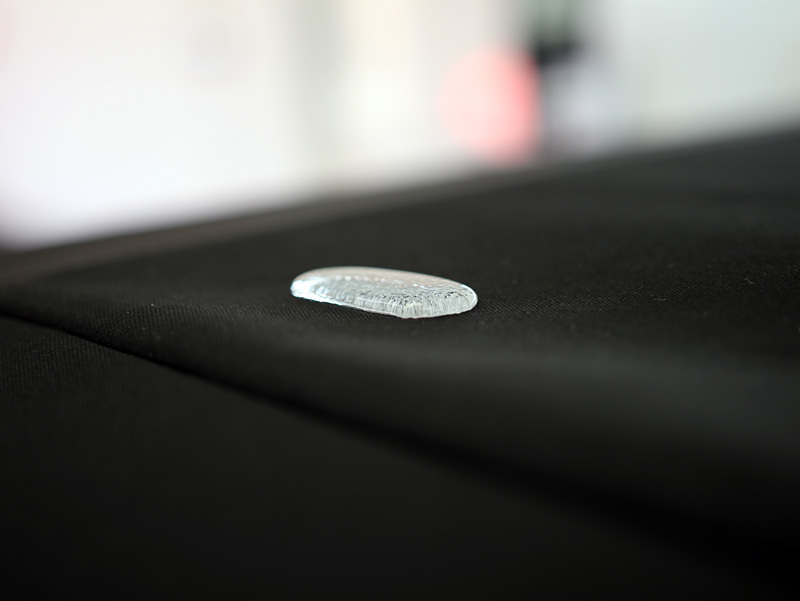 The hydrophobic nature is re-enforced with the application of EXO, increasing water beading. In real terms, this means rainwater and dirty water splattered up from the roads will be repelled from the treated surface. The surface stays cleaner for longer and is easier to clean during the weekly wash. In order for the performance to be guaranteed (which it is, by Gtechniq, for seven years! ), the application must take place within tightly controlled temperature and humidity parameters. 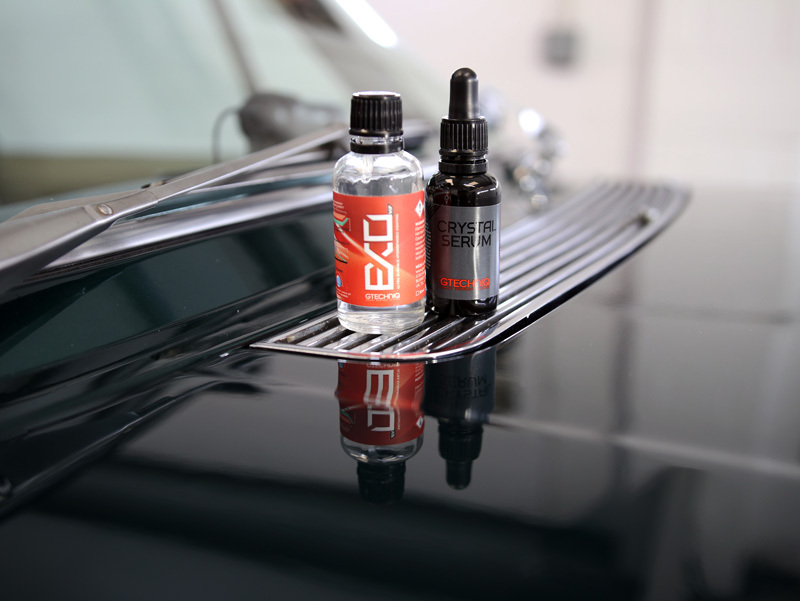 As a result, Crystal Serum is available only as a service through Gtechniq-accredited detailing studios. The glass headlamps were also given a layer of EXO; the hydrophobic effect will help keep them free from dirt during wet conditions. To polish the brightwork, including in between the fins on the grille, a RUPES BigFoot Nano iBrid was used on the rotary setting. A RUPES 40mm Yellow Spot Polishing Pad was used with Britemax Easy Cut Metal Polish to ensure any tarnishing was removed and the shine fully restored. The Yellow Pad was swapped for a 40mm UltraFine White Finishing Pad and Britemax Final Shine Metal Sealant, a coating that will help protect the chrome from tarnishing, rust and debris accumulation. 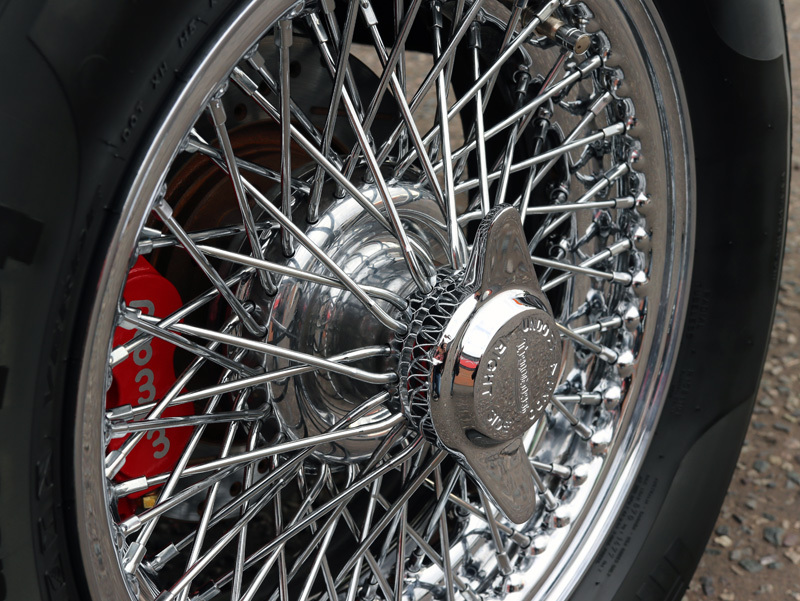 The wheels were degreased once more to ensure any oil build-up around the centre spinners and where the spokes join the rims were completely residue free. Then they were polished by hand using Britemax Easy Cut Metal Polish before being protected with Swissvax Autobahn Wheel Wax. The tyres were dressed with Swissvax Pneu to leave a natural satin sheen. The fabric roof was tested to ensure it was completely dry. Then, lowering the top, the Stag’s paintwork was protected with detailing sheeting and the convertible hood raised. 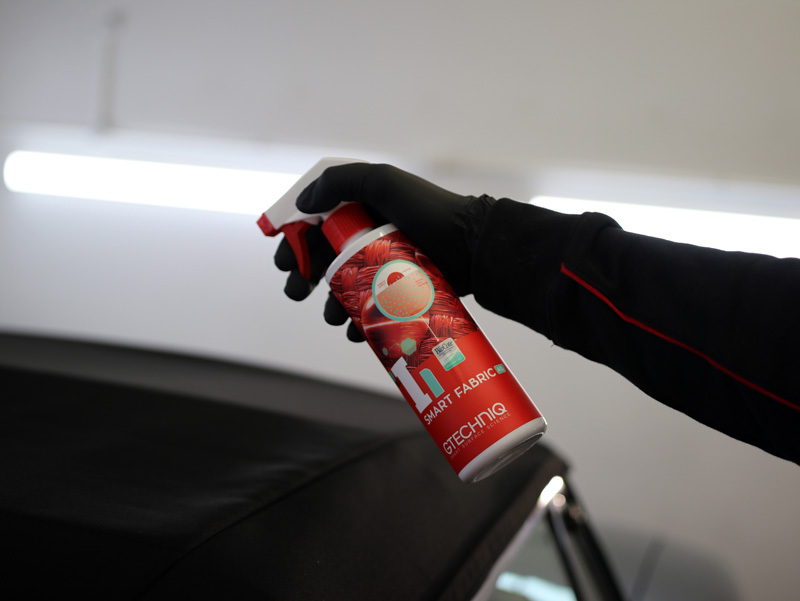 Gtechniq I1 Smart Fabric AB (Anti-Bacterial) was sprayed liberally onto the fabric to provide comprehensive protection from water and dirt ingress. I1-AB also helps prevent the black pigments from fading as a result of UV rays. Once the I1 Smart Fabric AB was dry, the hood was lowered and the protective covering removed. The leather covering used to protect the hood in the folded position was cleaned and protected using Colourlock Mild Leather Cleaner and Leather Shield. 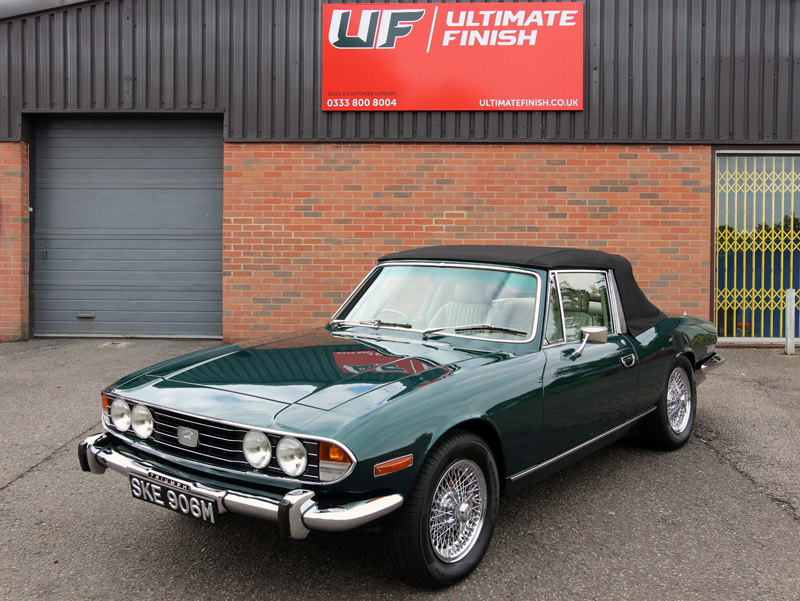 With the detailing processes complete and the Triumph Stag now cosmetically restored and fully protected, this icon of Britsh motoring will remain that way for many more years to come.